This is the 3rd stop out of 3 restaurants/food places we visited for our first ever food trip in BF Homes. Time for some of the sweet stuff! After satisfying our curiosity on the Charbroiled burger of Gourmet's Palate, we agreed to proceed with the "highlight" of the day - desserts! 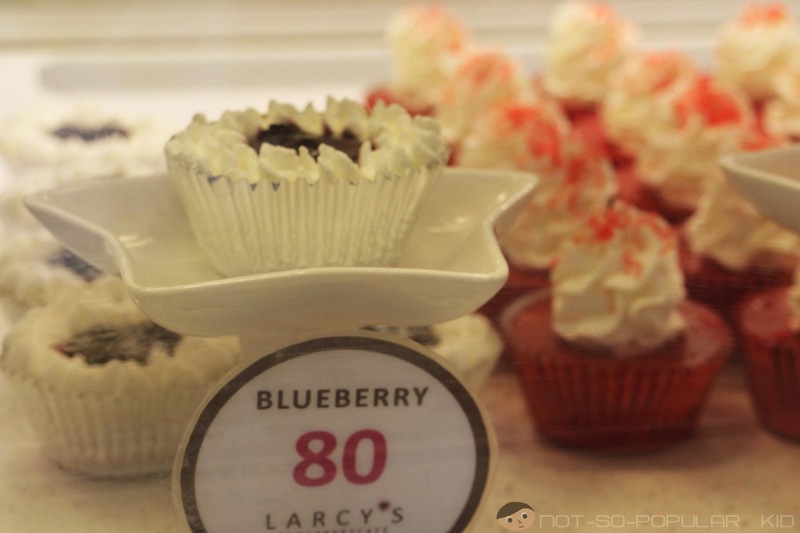 In this regard, Larcy's Cupcakery Cafe gained intense level of fame for its delectable cupcakes, and because of this, Larcy's became the most popular desserts-food stop in BF Homes. Guess what? Well, we ended up checking this awesome place out! Above is a quick snapshot of my friends who I was with. This was taken just before we entered the captivating place. Just a heads up, this blog post will be filled with photos because I was practicing photography, and I want to share with you the fruits of my hard work. Hopefully, you'll enjoy! 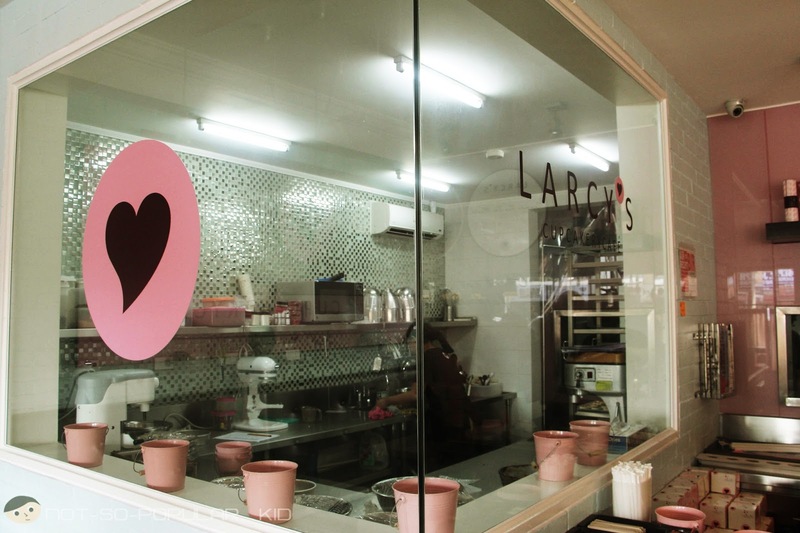 When I entered Larcy's, I was amazed by how cool the interior looked like! 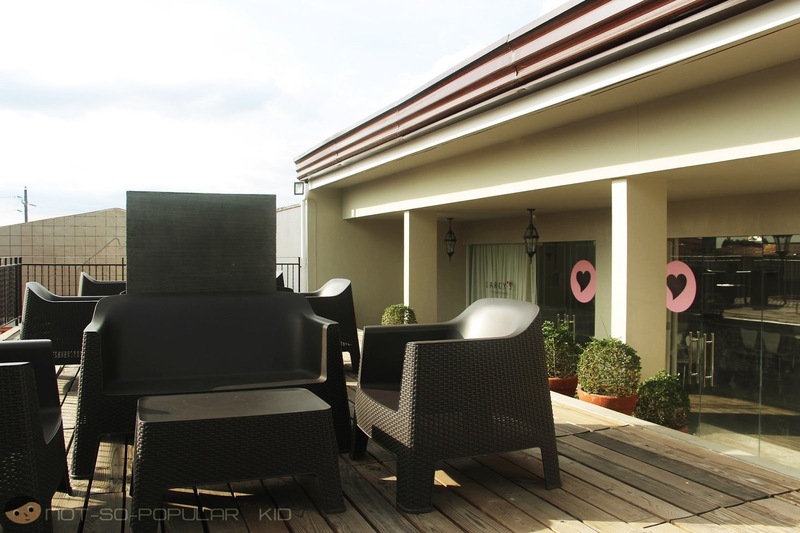 The outside design was already inviting, but the interior was even more so! Another thing that I noticed was that each design element in the cupcakery reinforces each other, creating a comfortable, positive and energetic place! Adobrable Chairs in Larcy's - Good for Hanging Out! 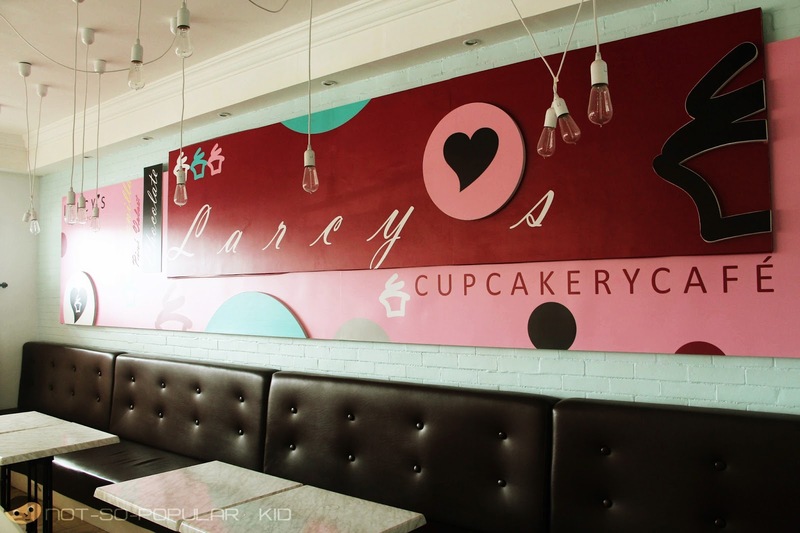 Since the place really looks so dashing, I suggest that on your first visit, choose to stay for a while and enjoy the ambiance and not just purchase cupcakes on-the-go. If you are with your friends, you will really find joy catching up with them because Larcy's is conducive for conversations, giggles, sharing and etc. 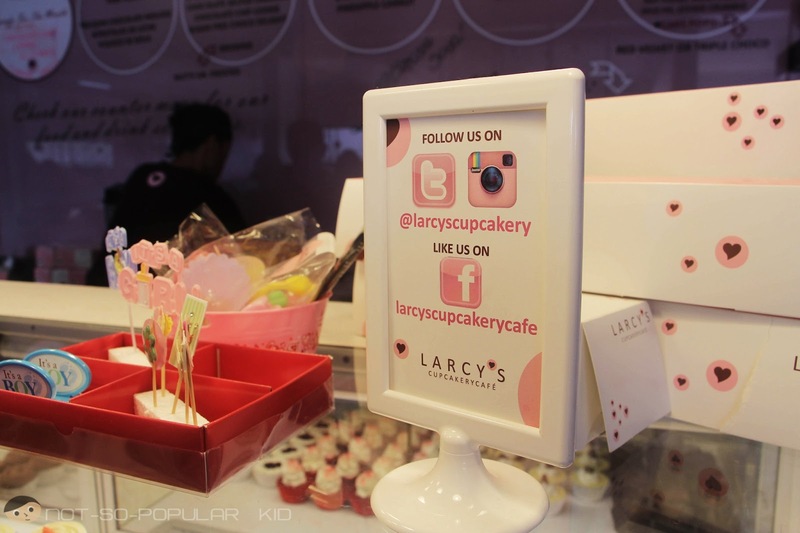 The Larcy's merchandise displayed in a highly appealing manner! It was hard for me not to notice this merchandise "arrangement", and so I took a photo! Here are more photos of the place! You may click on these thumbnails to enlarge. Good thing my friend, Mika, insisted on checking the 2nd floor! It was also amazing! 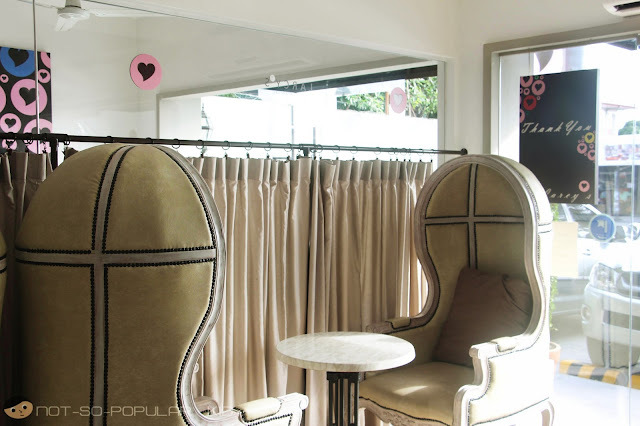 They have private rooms upstairs where you can have your meetings, events and more! If you are a big fan of Larcy's, you may follow them in Twitter, Instagram and/or Facebook! 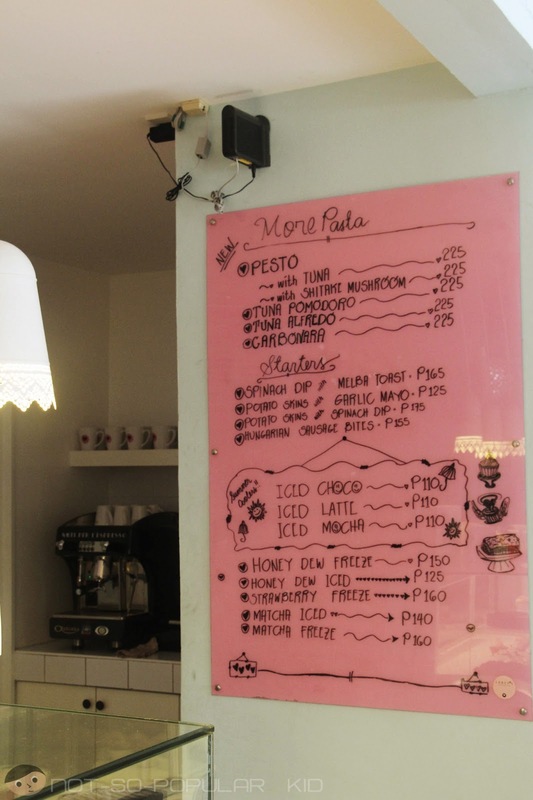 Although we weren't able to try anything besides the cupcakes, I decided to grab a snapshot of their non-cupcake menu for your reference. 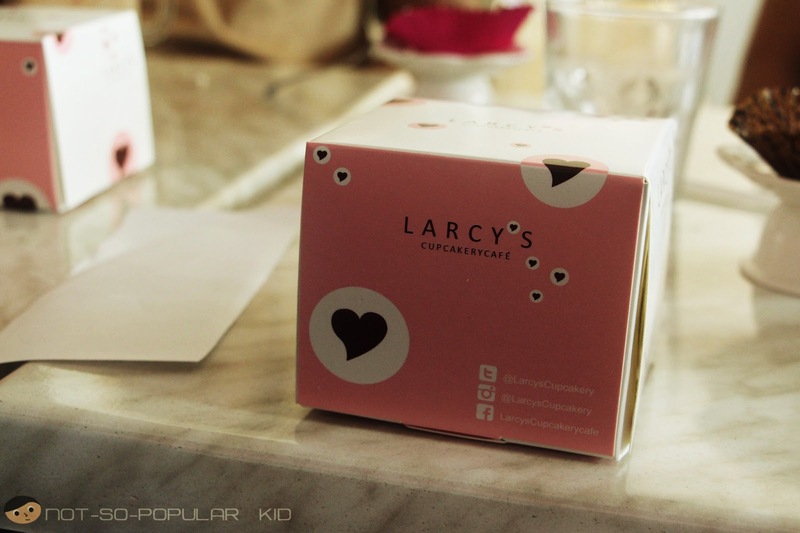 Abiding by the overall theme, Larcy's tries to connect everything together even the tiniest details such as the number Marnie was holding (as shown in the photo). Cool, right? Now, we shall proceed with the cupcakes themselves! 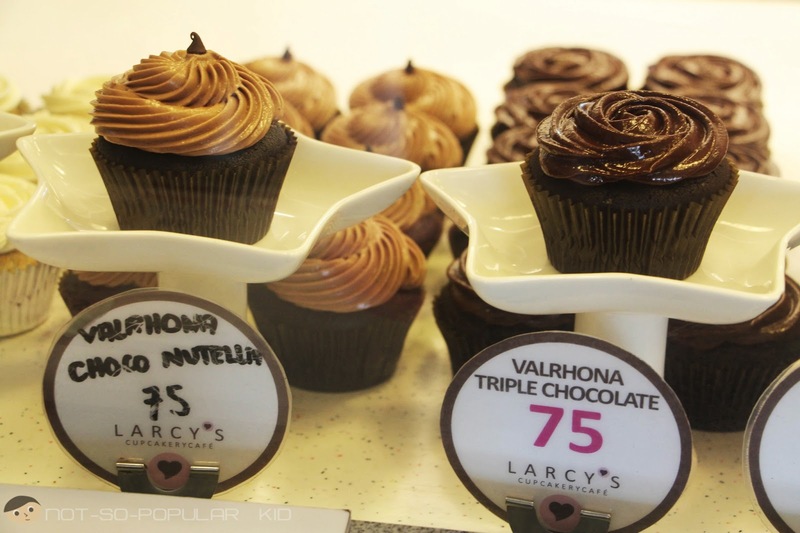 For the cupcakes, I wasn't able to try all of them, of course. In fact, I only got to taste 2 of those offered. Anyway, I still tried taking photos of them so that you'll have some reference regarding how they look like and how much they cost. 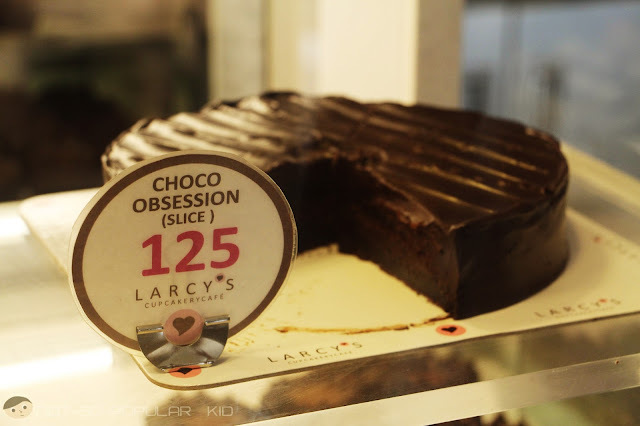 Choco Obsession at P125 per slice! Oh my! This cake looked so great which immediately caught my attention. 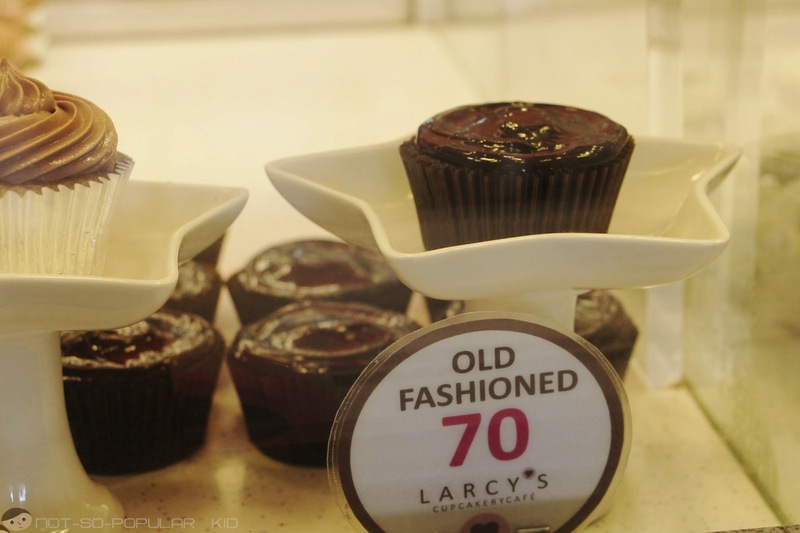 However, we didn't choose to have this one because t it gave us an impression that it may be "nakakaumay" -- something that you'll get tired of the taste easily because of being too overpowering. Anyway, despite that impression, this is still in my must-try list for my next visit! 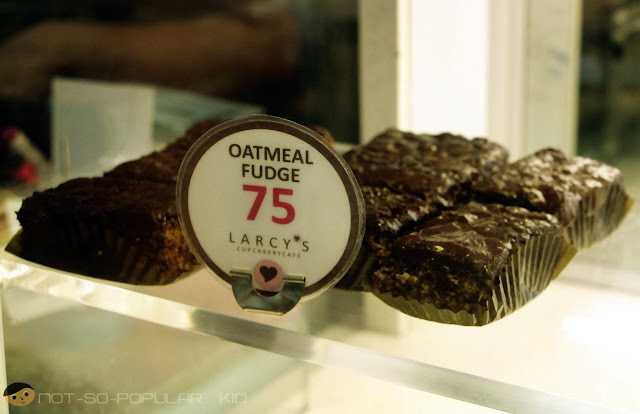 This was what I personally had that time - Choco Oatmeal Fudge! First impression? 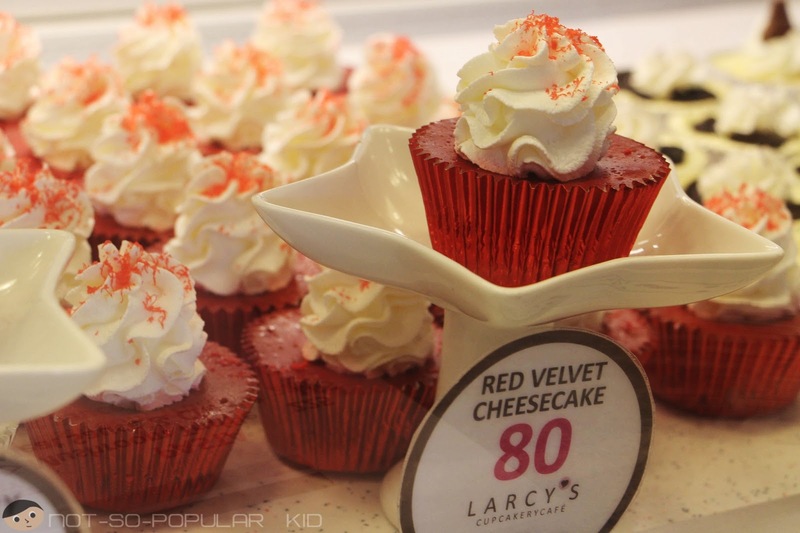 It tasted like the revel bar of RAP Steaks and Cakes, and that's a good thing! 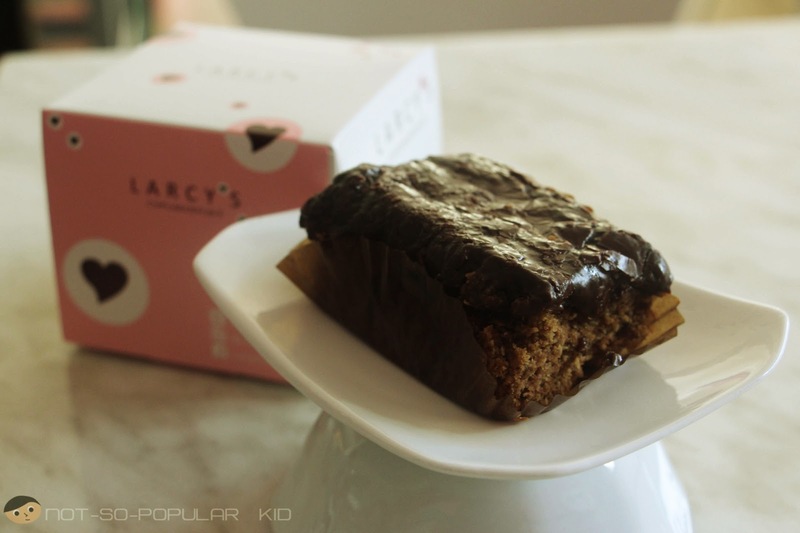 It was oozing with chocolate but the taste wasn't too overpowering, since it was cushioned by the soft oatmeal base. Yummy! I highly recommended this one as well as the Chocolate Salted Caramel (which features a delightful combination of saltiness and sweetness). Now this was mind-boggling! 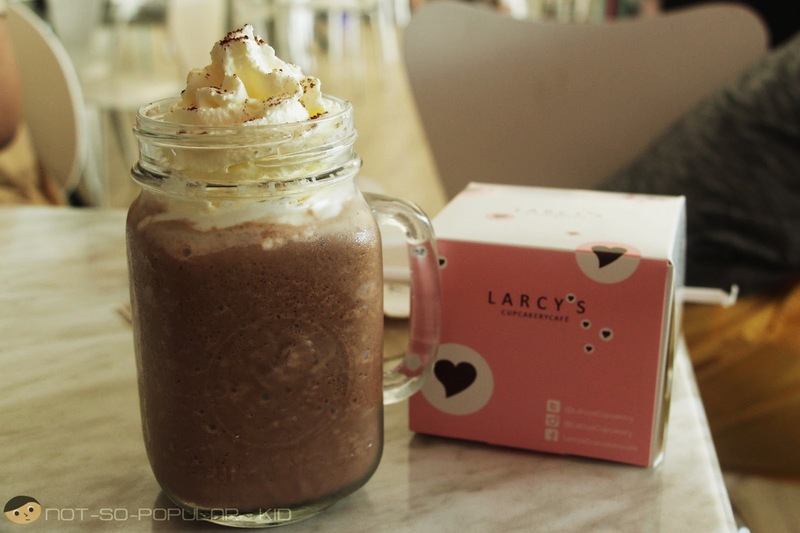 How can a chocolate drink be frozen and hot at the same time? Well, actually, when I tasted the drink, I found the answer to that one. It has "frozen" on its name because it is a cold beverage. On the other hand, it has "hot chocolate" on its name because it really tasted like a hot chocolate drink. The only difference was that it was cold. Just before we called it a day, we decided to have our photo taken! 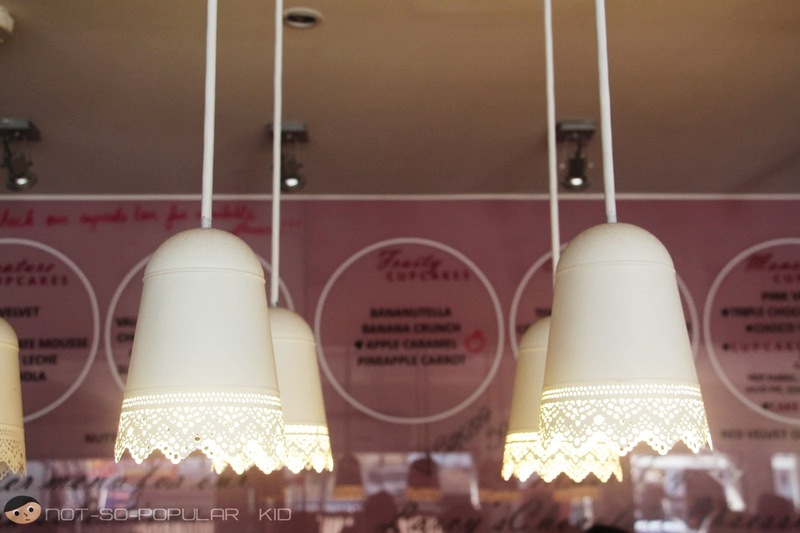 It was a good thing that the cupcake boxes were strong enough to serve as my camera's platform. Another good thing was the presence of that cute background in Larcy's - very adorable! 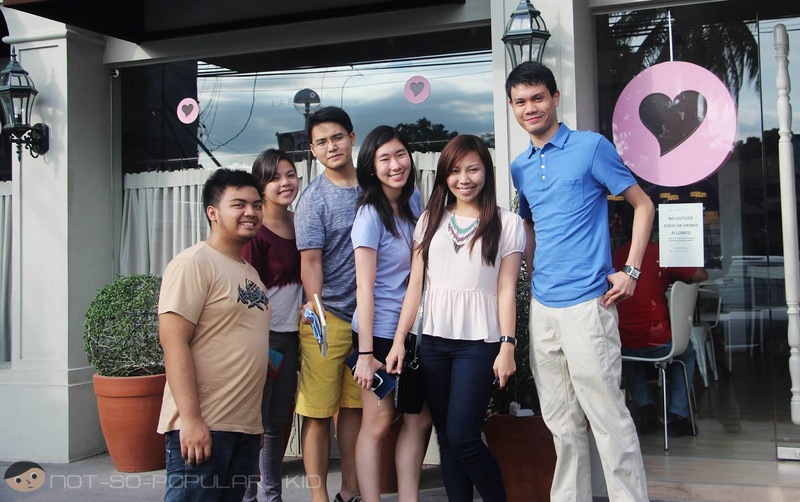 After that, we officially ended our first Food Trip in BF Homes! 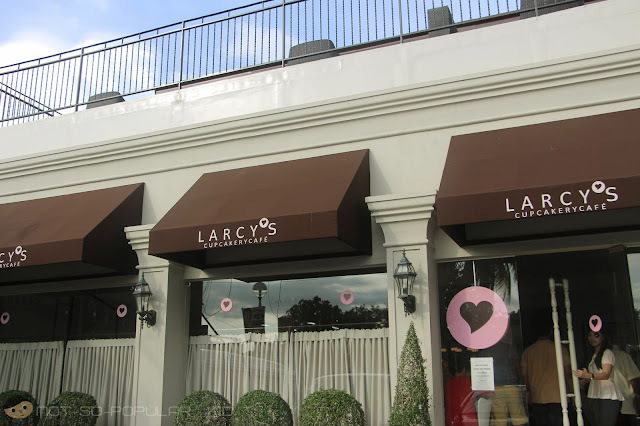 Troy: "It (Larcy's) lets me forget about my weight and diet!" 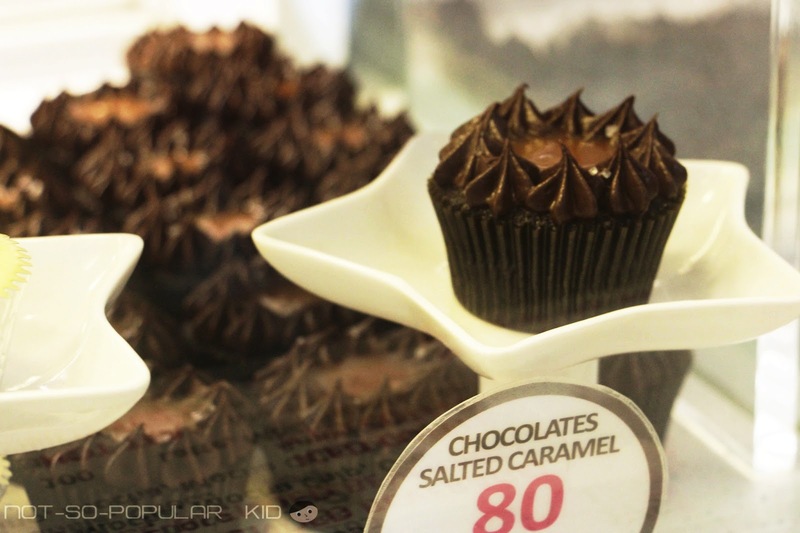 Marnie: "I especially like the chocolate salted caramel cupcake because of the contrasting flavors. On top of that, it was moist!" 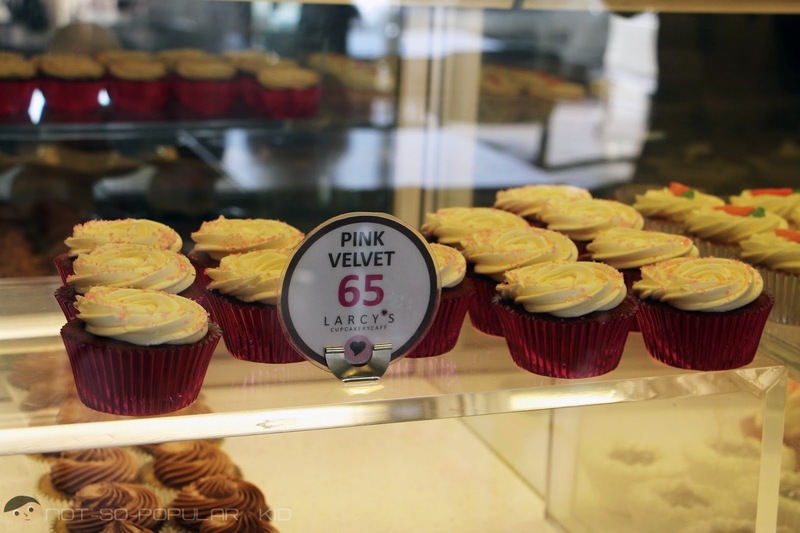 JD: " I prefer the Pink Velvet than the Red Velvet Cupcake"
As for the price, neglecting any benchmark, the cupcakes would seem to be expensive. However, comparing these prices with the average will tone down the expensiveness to a tolerable level, and perhaps even affordable. Me too! 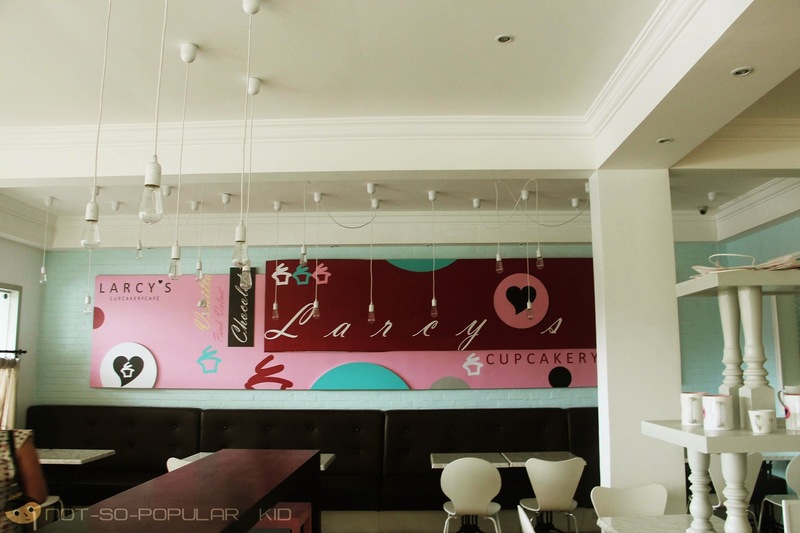 In fact, I want to bring my siblings here, so they can experience the place and the cupcakes! 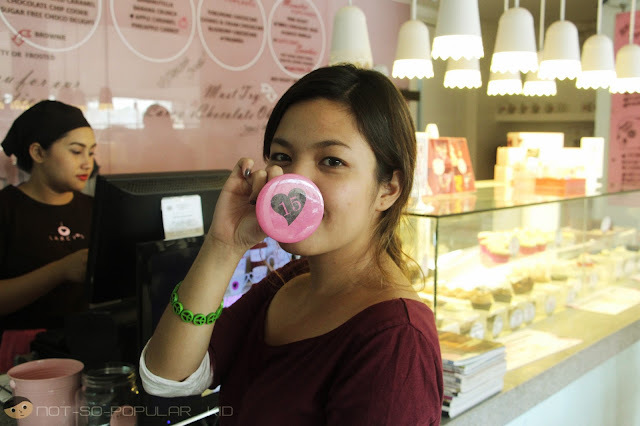 Yup, the place is really adorable! The best part, however, is the price. 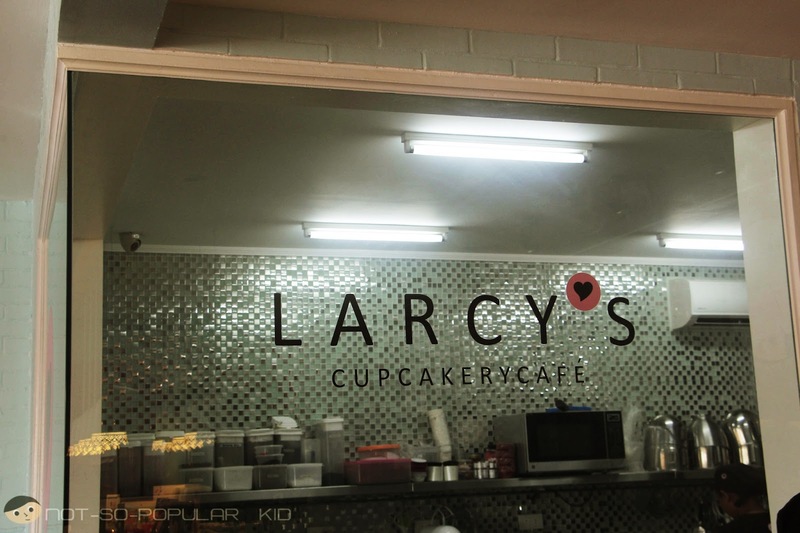 I think Larcy's relatively offers less expensive cupcakes. 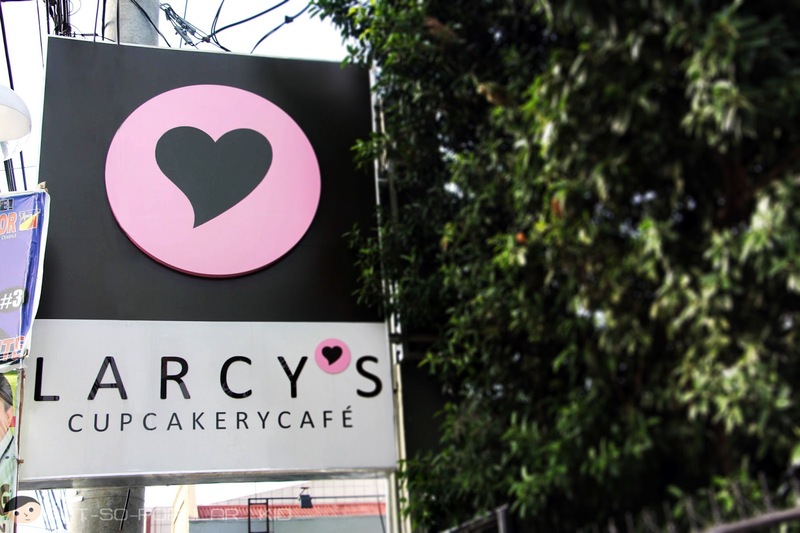 This place was featured in KrisTV yesterday! How was the taste of their cakes compared to others? Oooooh Aguirre! 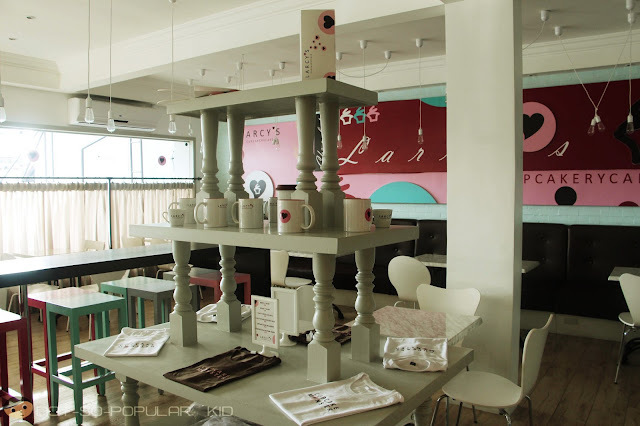 Great place for foodies. Have you been to Kapitolyo, Renz? 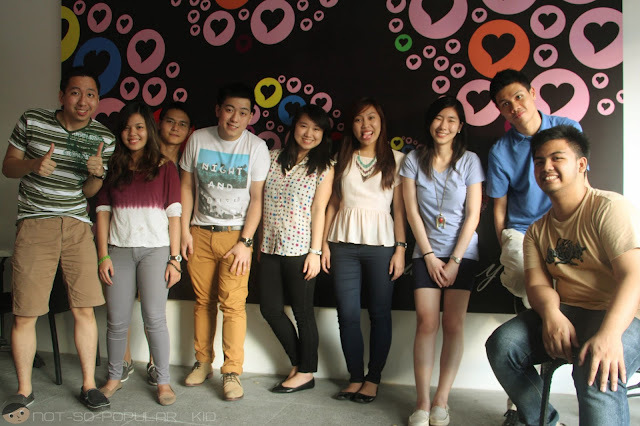 :) Dami rin doon! Hehe! Nasulyapan ko yung episode na yun. Haha! 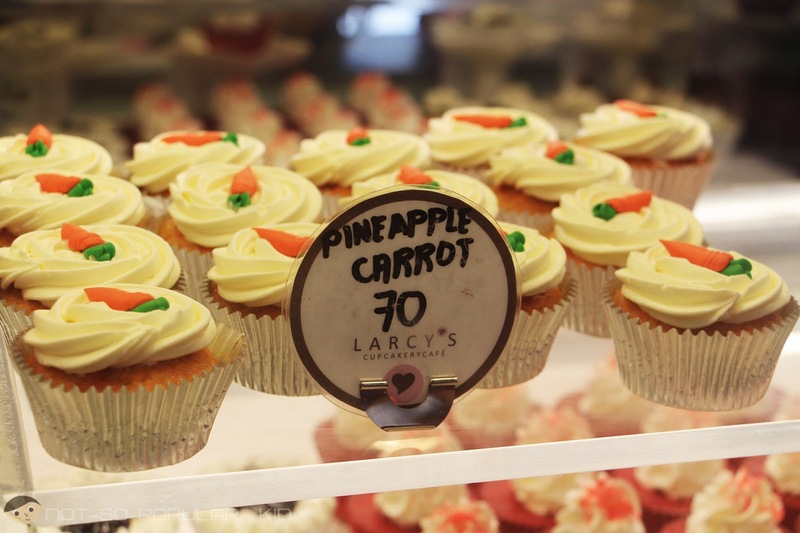 I haven't tasted other cupcakes yet. My friends say it was great, but Sonja's is still better.